If you know anything about travel gear, the chances are you’ve heard of ScotteVest. Known for their travel oriented, pocket riddled clothes, ScotteVest has garnered countless media mentions. I first heard about ScotteVest back in 2010, when my mom briefly mentioned a brand that “sells clothes with lots of pockets”. At that time, I wasn’t traveling much, so didn’t give the brand much thought. Fast forward to 2016, things have changed, and recently I’ve had the chance to put the ScotteVest Cotton Hoodie to the test. The warmth of the ScotteVest Hoodie is what you’d expect for any other hoodie. 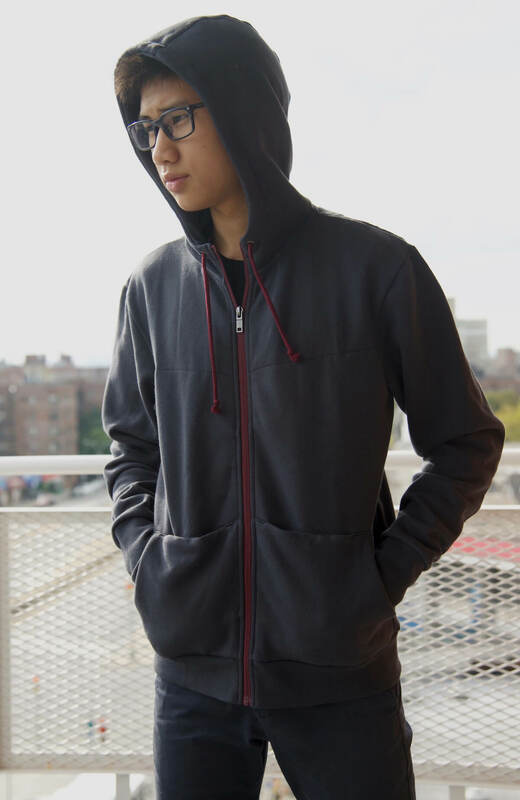 The hoodie is ideal for spring/fall weather, but you’d want to layer over it in the middle of a New York winter. 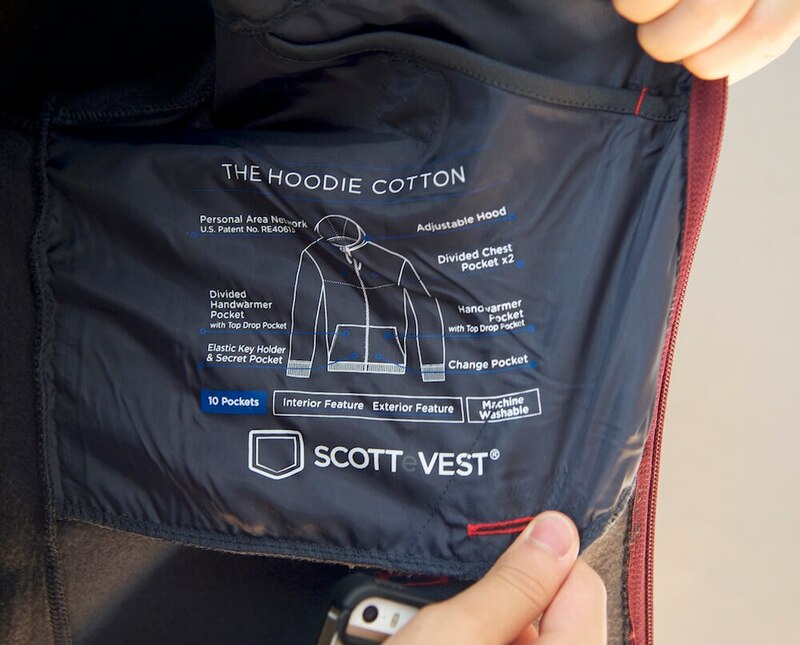 ScotteVest‘s products’ main feature is their pockets. On the hoodie, there is a total of 10 “pockets”. Technically, there are just 6 pockets, but there are pockets/dividers inside of pockets that are counted. The two hand warmer pockets are spacious and can hold passports, boarding passes or whatever knickknacks you might need. Both pockets have a soft divider in the middle, which I didn’t find particularly useful. 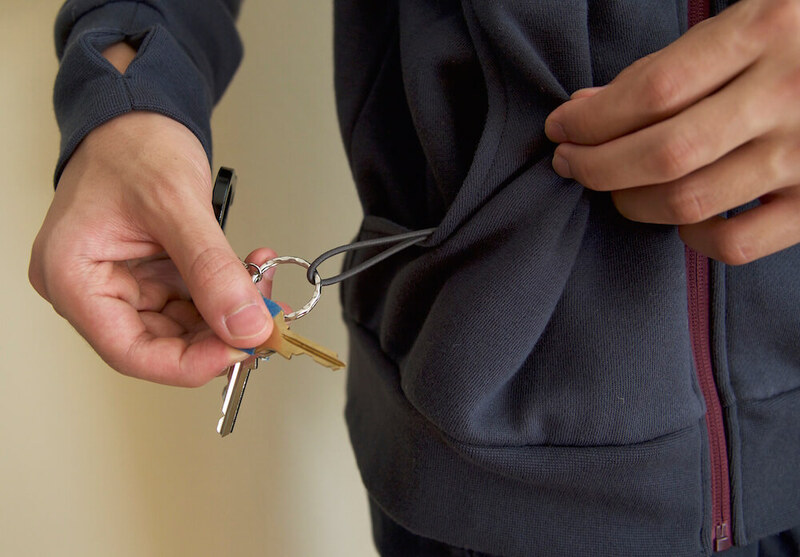 The right sided pocket has an elastic cord, which is perfect for connecting keys to. It helps to keep the key from falling out, and from pickpockets easily snagging them. The right sided pocket also has a “secret” compartment. The left sided pocket has a very tiny “pocket” which is meant for holding coins. A nice addition would be making the hand warmer pockets zippered, so nothing would fall out. 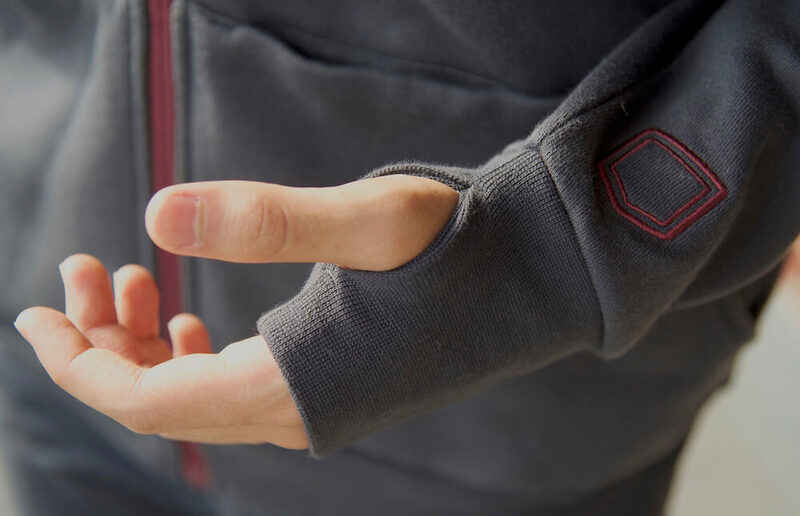 On top of each hand warmer pocket is a drop-through pocket, sealed with a snap closure. It occupies the same space as the hand warmer pockets. The two internal chest pockets are great for holding valuables. They are only accessible when the hoodie is unzipped. These two pockets are closable with a magnet. A zipper would be better, though. 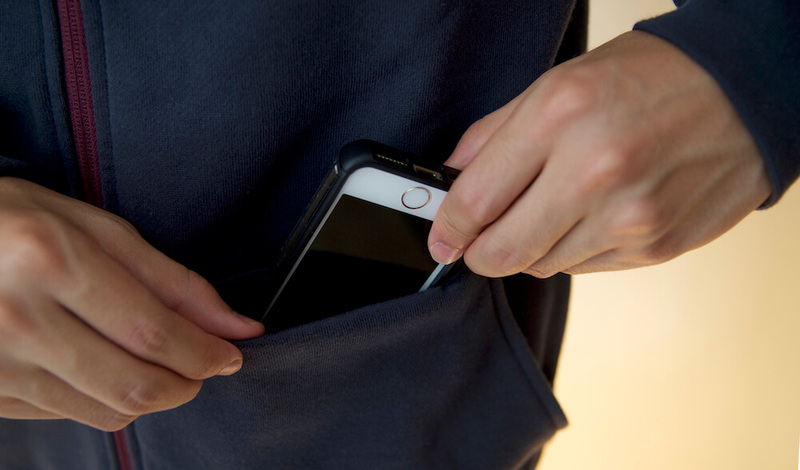 An iPhone 6s fits inside the chest pocket. You can also place sunglasses, a passport or any thin items. Putting the iPhone there worked surprisingly well and didn’t bulge, although it’s not particularly comfortable to leave a phone there. In general, the pockets are useful if you’re packing thin items. Storing a water bottle, on the other hand, isn’t the best idea. I’ve tried it: the bottle makes the hoodie bulge conspicuously, and isn’t very comfortable either. Built into the hoodie is also a system for stringing your headphone cable. I use wireless Bluetooth headphones, so I never had a need to use it. The pockets are a great concept, but could be better executed. 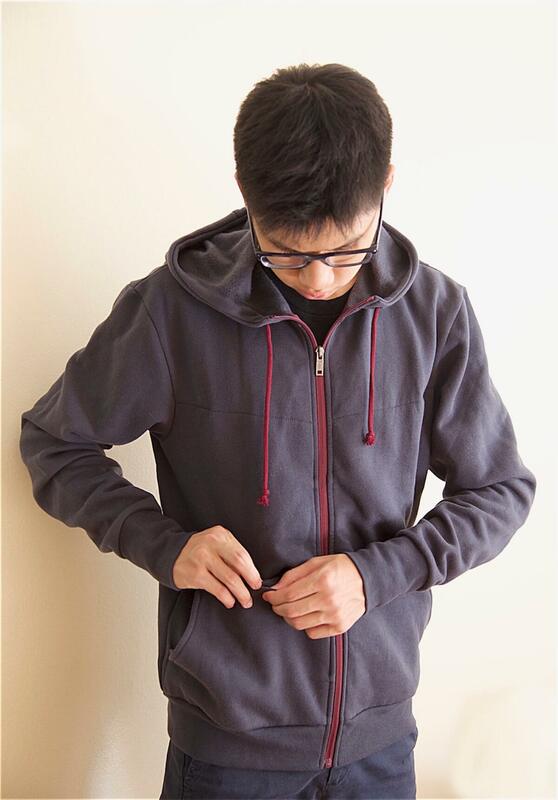 I found the hoodie’s pocket layout to be slightly underwhelming. Regardless of how many pockets there are, and how “thoughtfully engineered” they are, they’re still going to bulge. The “secret” pockets inside of pockets were more gimmicky than useful. The chest pockets felt feeble and the quality wasn’t great – they were thin and not fully stitched. Honestly, there wasn’t much more I could store in the ScotteVest Hoodie‘s pockets than I could in my Arc’teryx Fortrez hoodie. The ScotteVest sizing chart seems to be run large. I’m 5’8″, 130 pounds and a suit size 36 and waist size 28 or 29. With those measurements, I should fit a size Small according to the size chart. My size Small hoodie is a bit baggy on me. It’s still wearable, but not ideal. I do have a slim build, though. A size XS would probably have fit my frame better, however according to the sizing chart, XS is for people with chest sizes from 30-32. That seems to be about 4 inches off, and likewise for the waist measurements. Overall, the hoodie runs large. For most outdoor technical-style hoodies, I’m usually a size Small, albeit most outdoor oriented hoodies have trimmer fits. Fit – I’d love to see ScotteVest sell a slim fit option. With sizes going up to XXXL, ScotteVest accommodates the upper end of the spectrum. Trim fit sizes would be nice for people with slimmer body shapes. The ScotteVest Cotton Hoodie is a comfortable, casual piece, ideal for everyday travelers. 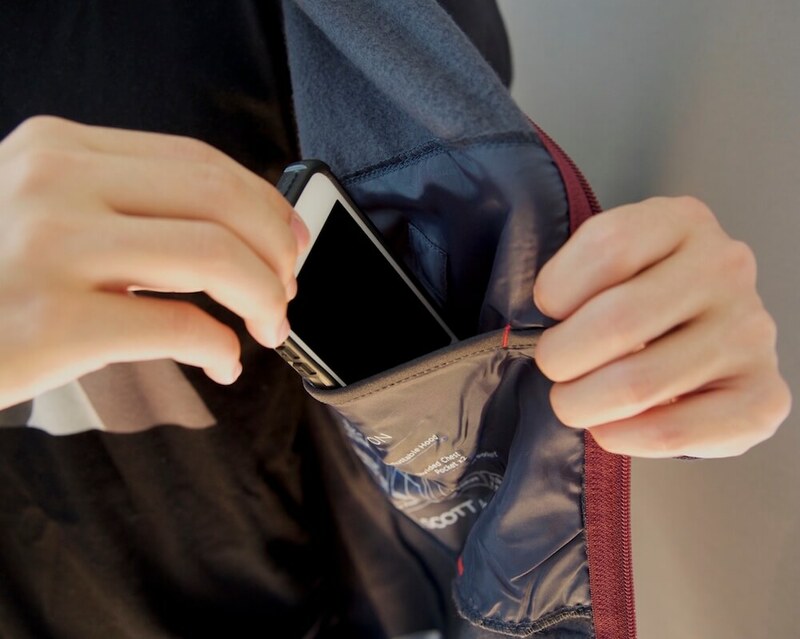 The built in pockets allow you to wear your valuables and electronics, and the internal chest pockets help to protect from pick pockets. It has a different style and isn’t directly comparable with hoodies from premium outdoor gear brands, but the ScotteVest hoodie a lot better than your average cotton hoodie. The ScotteVest Hoodie was provided for this review. As always, this ScotteVest Hoodie review contains only my honest views and opinions. ? Find out more about me and this site here. Arc’teryx Fortrez Hoody Review: The Ultimate Adventure Travel Fleece? Good catch! Their founder is a TOTAL DOUCHEBAG. Did you see his shark tank appearance? F**k him. NEVER BUYING ANYTHING FROM SCOTTEVEST!!!!! !